In the 1880s and 1890s there was increasing desire for cheap land, and this led to a series of provisions that made it easier for people without capital to get onto land, either through deferred payment or through perpetual leases from the Crown. The Kaikoura Settlers Association pushed for land to be opened up for settlement along the Clarence River. 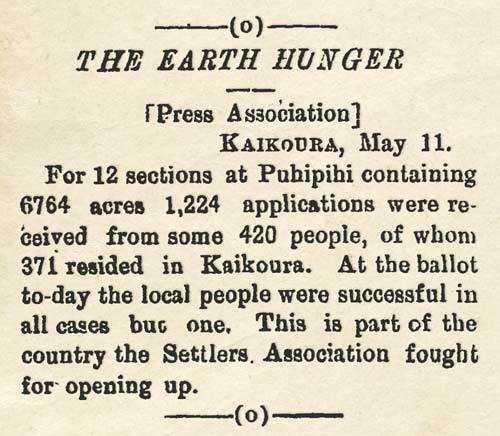 When the sections were balloted there was such a demand that, on average, there were a hundred applications for each section.